When you are a relatively new small business owner you may not have any budget at all in the first year of your business. I have no problem sharing with you I was in that position when I decided to start my first business, Motivational Steps. In fact I was still facing challenges after my divorce quite some years previously, plus health challenges, along with knowledge my priority was to ensure we had a place to live and food to eat. You will have to look at finding money from somewhere. Some people use their savings, work part time somewhere to pay bills, or approach your financial institution to gain information about small business loans or grants. 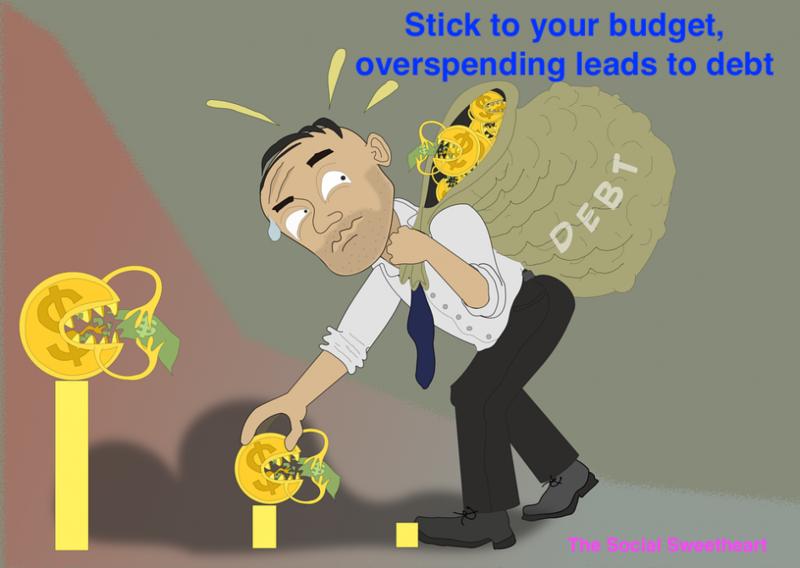 Now we come to the important part where I share some ideas on how not to overspend, whether you have a budget or not for your small business. IT related components as mentioned above. Once you have a general idea of your needs don’t rush out and spend your precious money all at once. Look at how other business owners operate and ask your trusted connections if they have any ideas to share with you. You might find it beneficial to lease office equipment versus purchasing it outright. People in business need to sell their products and services, so be careful about being approached to buy things that you don’t need. In the first year you probably don’t know a lot of what you want, such as an expensive website. If you can’t build a basic one yourself, don’t be enticed into paying for an expensive one that may not fit your needs or match your yet unknown brand. Marketing professionals may want you to buy their newest program, such as a marketing strategy, but again, think about building your brand, and knowing your target market before you spend money on marketing. Advertising is a great way to go, but again in the first year you will be spending time as mentioned above on building your brand, creating trusted connections, and working on short term goals and long term goals. There will come a time when you will purchase the services of a graphic designer, a website made to your requirements, advertising and other such related things. If you purchase those things before your strategy and goals are set you may well waste money and that’s something you may regret. I know many small business owners who have wasted time and money because they did not have a strategy for their budget. They had no idea what they needed to spend money on first and foremost and decided to purchase the things they wanted versus the things they needed. The time to start expanding and spending more money is when your short term and long term goals have been reached, part of this would be knowing your own brand first and foremost, knowing how to share your brand and knowing the success of any marketing you have done yourself online and face to face. Slowly, step by step you have build strong foundations on which to grow a successful business. Your budget will still be there when you need it, go slowly in the first few months, don’t overspend and stick to your goals.